The island of Negros and the neighboring islands of Cebu, Malapascua, Siquijor, Apo and Panay in Central Philippines are endowed with beautiful dive spots that attracted local as well as international dive enthusiasts. The islands are surrounded by deep blue waters with rich aquatic life, coral reefs and sunken ships that made it as one of the favorite scuba dive sites in the Philippines. The Island of Negros where I was born and raised is divided into two provinces, the Oriental Negros in the east and the Occidental Negros in the west. I live in Negros Occidental. In the southern tip of our province, is where you can find several (44) dive sites. One of the town that embraced the scuba diving tourism in our province is Sipalay. There you can find Dive Spot Resorts and PADI Centers. Historical accounts have revealed that a few boats during the war and after the second world war were sunk around the areas in the Visayas. One of these was the ship SS Panay. Its remains can be found in Campomanes Bay or Maricalum Bay, (Province of Negros Occidental website). Another examples are: Abukama Ship, a Nagara Class Cruiser bombed by the US Aircraft off Negros Island on October 26, 1944 (Wikipedia) and Fujinami, a Yugomo Class Destroyer that was sunk by US Aircraft 80 miles north of Iloilo on October 27, 1944 (Wikipedia). There were many others that can be found around the waters of Cebu and other islands in the Visayas. 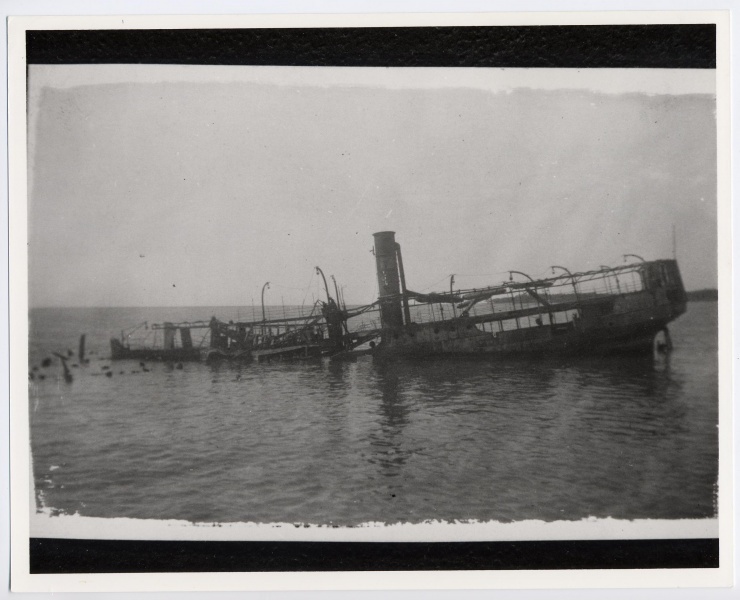 SS Panay on her resting place, Campomanes Bay or Maricalum Bay, Island of Negros. It was believed that the ship was loaded with cargoes and ammunition to aid the resistance movement against the Japanese during the second world war. That sunken ship, therefore, is a rich piece of history of the second world war. Source: Youtube, uploaded by Martin Yee. Earthniversity does not own this video but thanks to Martin Yee and Youtube. With the popularity of scuba diving activities in the Southern part of Negros, these underwater heritage sites are now a concern not only for the local government units but also to the proponents of sustainable environment and development. A few years ago, the United Nations call the attention of countries around the world to protect its underwater heritage sites because it is the common heritage of all people of all states and the world. The underwater heritage sites is not only for those people who have access to it like the divers but it is also for people who has no access to it, at the moment. While majority of the divers are educated in the proper care of the underwater heritage sites, there are unscrupulous divers who cannot resist the temptations of pillage and destruction on these sites. Therefore, changing the face of the Underwater Heritage Sites. Heritage refers to inheritance or patrimony. 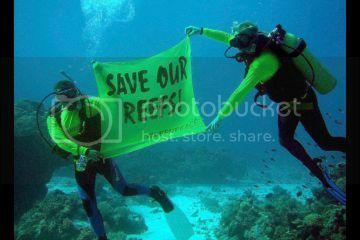 The coral reefs can be considered as our natural heritage or inheritance from Mother Earth. Tubbataha Reef and Australia’s the Great Barrier Reef are examples of natural heritage sites. Tubbataha Reefs is a UNESCO World Heritage Site located at Cagyancillo Town, Palawan. It is therefore the responsibility of the Local Government Units to take the lead in the protection and conservation of these Underwater Heritage Sites so that the present and the future generations can learn from them. Here are the suggested steps to follow in formulating a Heritage Sites Protection and Conservation Program. 1. Create a Technical Working Group or TWG, to conduct a research to identify the Underwater Heritage Sites and gather facts and figures about them. One of the best ways to achieve this goal is to conduct a Strategic Planning Workshop on the Protection and Conservation of Underwater Heritage Sites. The workshop should answer the following questions: 1) Who Are We? ; 2) Where Are We Now? ; 3) Where Are We Going? ; 4) How Are We Going To Get There? 2. Present the Plan to the Local Development Council so that the LDC can pass a Resolution approving it and submit the same to the Local Chief Executive. This LDC resolution should contain the proposed Action Plan. 3. Have this Plan on the Protection and Conservation of the Underwater Heritage Sites be approved by the Local Chief Executive who will then submit this to the City or Municipal Council for their review and approval. The Council’s approval shall be in the form of a Resolution or if the Plan submitted was exhaustive, the approval could be in the form of an Ordinance. This Ordinance will state the manner as well as penalties in the implementation of the Ordinance. An LGU department or office shall be identified by this Ordinance as the implementing agency or office, defining its roles and obligations to implement this Ordinance. 4. The Local Council’s approval will give teeth, so to speak, to the implementation of various Programs and Projects enumerated in this Plan. 5. Implementation of the Plan will follow. The Environment Office of the LGU will be the implementing agency in cooperation with multi-sectoral groups in the town or city. 6. Monitoring and Evaluation comes after the Plan, its programs and projects have been implemented. 7. Regular performance review of the implementation of the Plan maybe conducted. 8. From these activities additional inputs can be made by the LGU or Local Government Unit. 9. The Technical Working Group or TWG which was earlier organized shall be headed by the Environment Chief of the LGU with the Municipal or City Development Office as the Secretariat. This can be revised by the LGU to suit their needs. The southern part of the island of Negros including the towns of Hinoba-an, Sipalay and Cauayan and the islands of Apo and Siquijor as well as the areas of Dauin and many others are rich in aquatic life, marine resources and underwater heritage sites. If the Great Barrier Reef of Australia is a Heritage and Protected Site, why not create these identified areas of the island of Negros as Underwater Heritage Sites Protected Areas? Various stakeholders are involved in this effort of protection and conservation of our underwater heritage sites. Through Eco-Tourism, several stakeholders are economically benefited here. The scuba dive shops and beach resort operators are our partners in the protection and conservation of underwater heritage sites. They worked hard to construct beautiful resorts, put up facilities, conduct scuba diving activities and other related water sports and they deserve our attention as equal partners in ecological and sustainable development of the area. They can be our partners in achieving the Sustainable Environment and Development of Southern Negros and the rest of the Visayas. If you are a development planner, a member of the Local Development Council, a city or municipal official in the area, an officer of the environment and planning offices, or a concerned citizen as they say, these suggestions are for you. Please feel free to add, revise or improve the suggested activities to suit your local needs. If you wish to comment on this post, please feel free to write it at the bottom of this page. Finally, Earthniversity is re-posting the video uploaded by UNESCO on youtube. The title is: UNESCO Convention on the Protection of Underwater Cultural Heritage. Earthniversity expresses its thanks and appreciation to our sources of information and youtube.